The Site Manager main navigation menu has been redesigned with an updated look and feel as well as more efficient navigation. The menu tab feature has been replaced with mouseover feature that also lets Site Managers navigate directly to submenus without waiting for a default page to load up first. One good example of this is in Users. Previously, the Accounts page would load up before Site Managers could navigate to any submenu under the Users tab. Site Managers can now navigate directly to a submenu without waiting for a default page to load. The functionality for the menus and submenus has not changed. 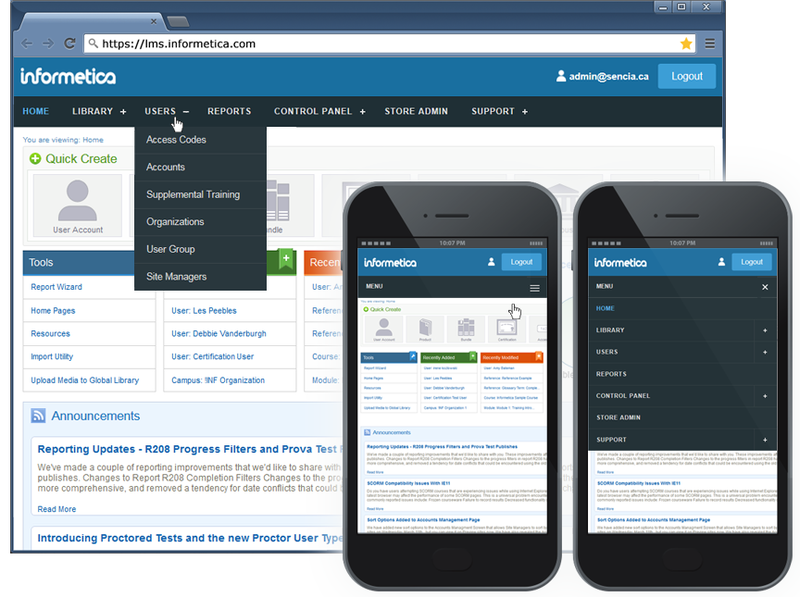 This redesign will be available on May 1st on your preview sites and will be live on May 6th. A more modern look and feel. The menu has been built with responsive design in mind and adapts to fit smaller screen resolutions on handheld devices. Sub-menus are now available via drop down by mousing over them. The help button has been removed. This previously housed the Site manager manual, that is already available via the Support tab.